Every cloud has a silver lining and this dreamy baby activity gym is no exception! Offering hours of plush playtime, it features a soft colour palette to complement modern decor along with pops of bright colours to stimulate baby's sight. 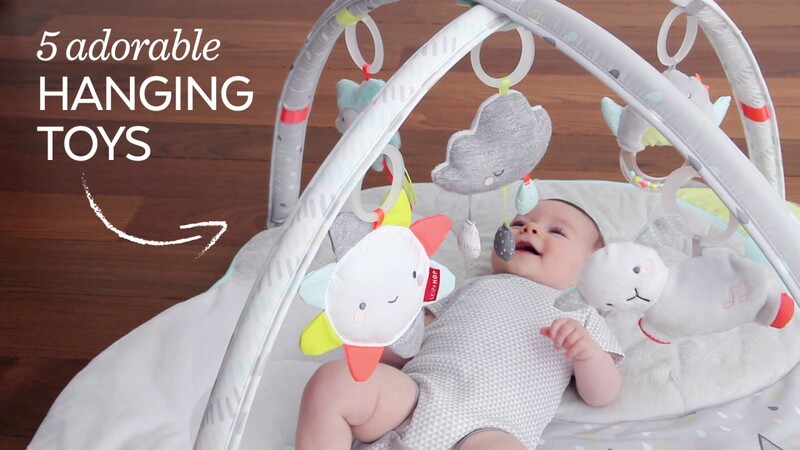 Five celestial-themed hanging toys will engage baby with lights, music and other stimuli while the cushy mat offers ultimate, cloud-like comfort. When it comes to baby's enjoyment, the sky's the limit!